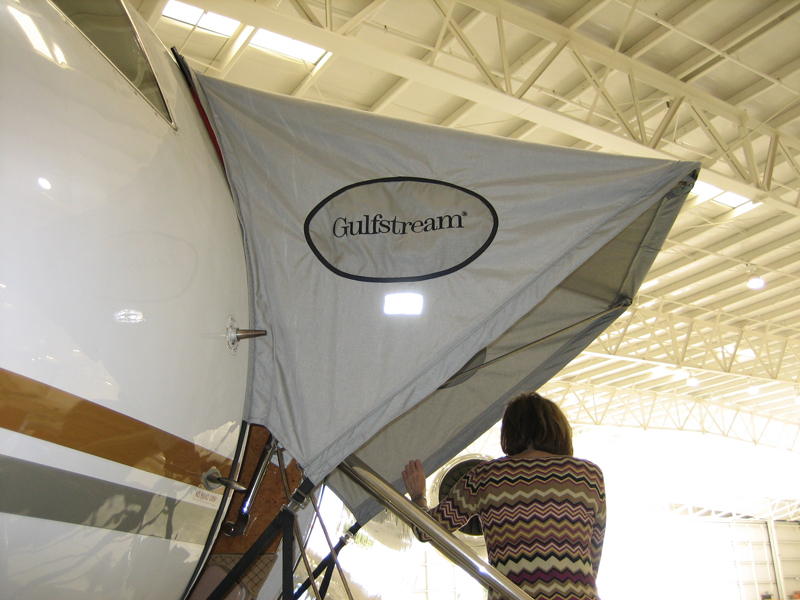 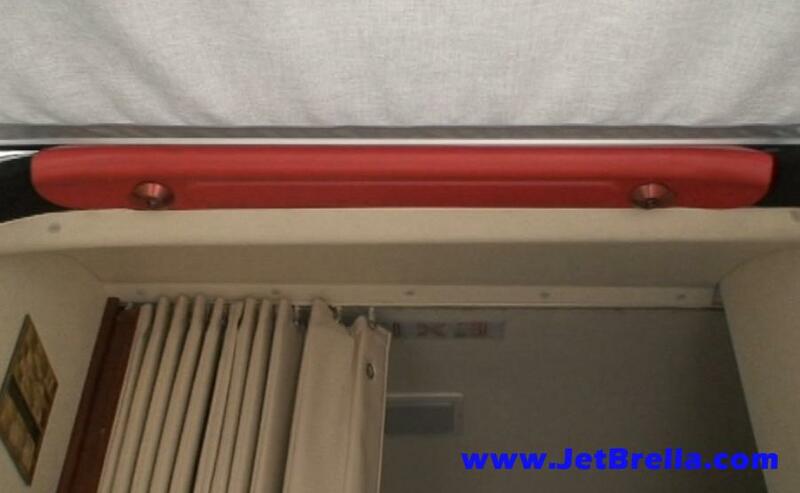 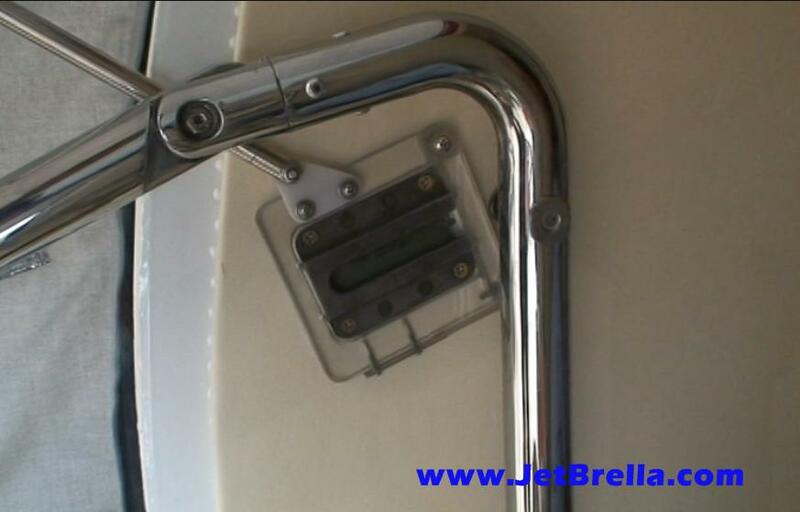 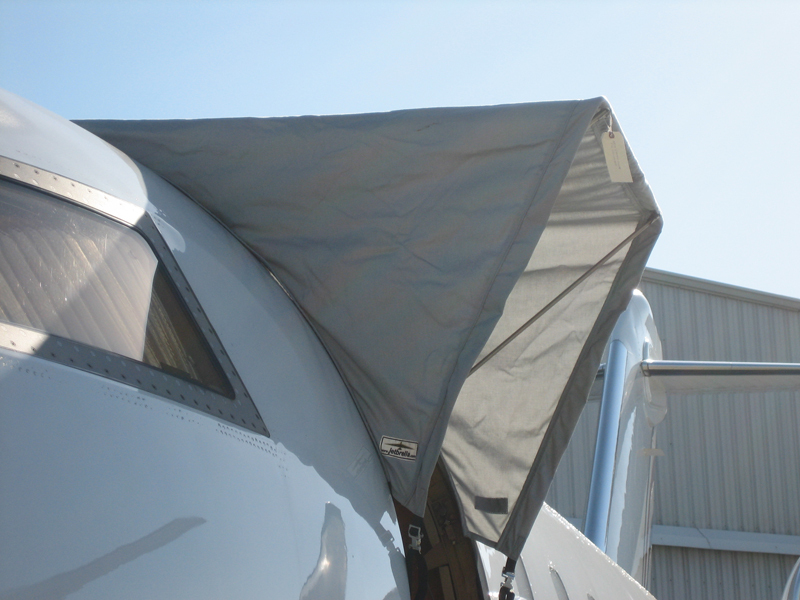 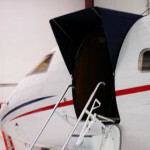 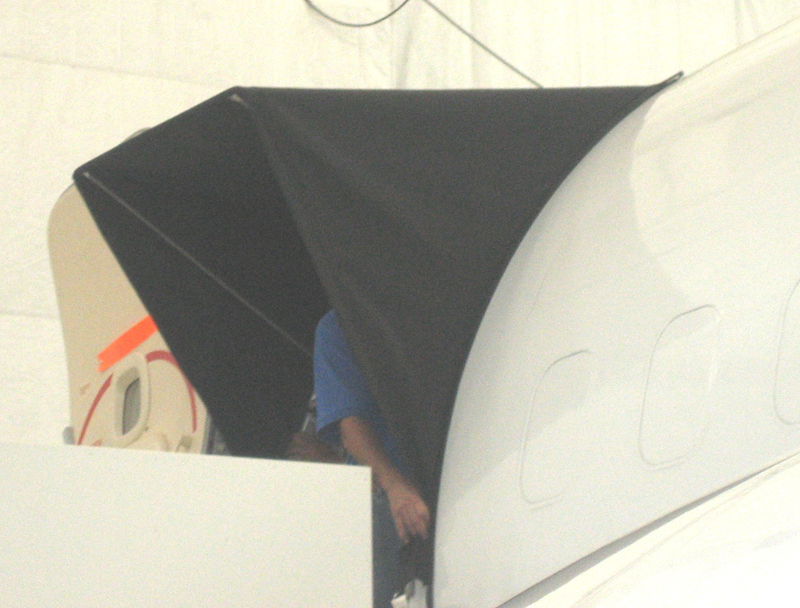 Jet \ Brella Inc. offers custom aircraft canopy and entrance awnings for your private jet. 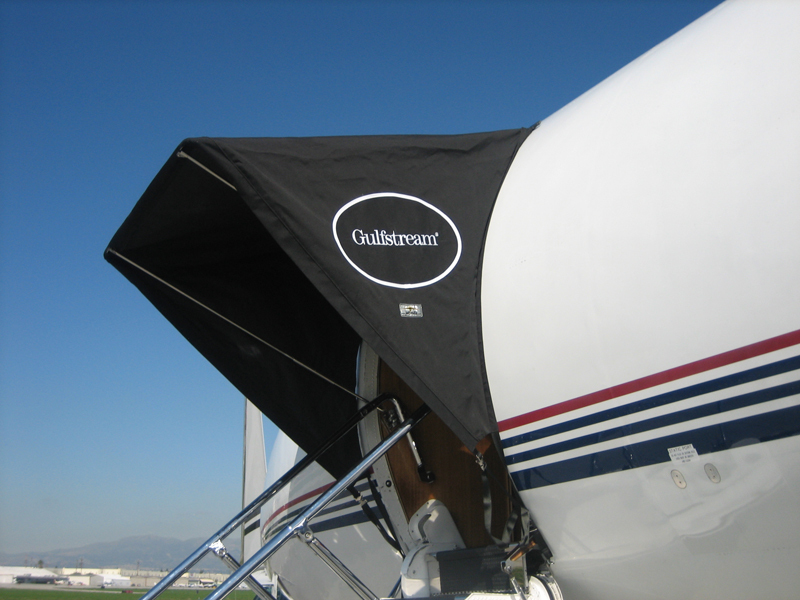 Protect the interior of your jet from rain and weathering while parked on the runway for passenger loading. 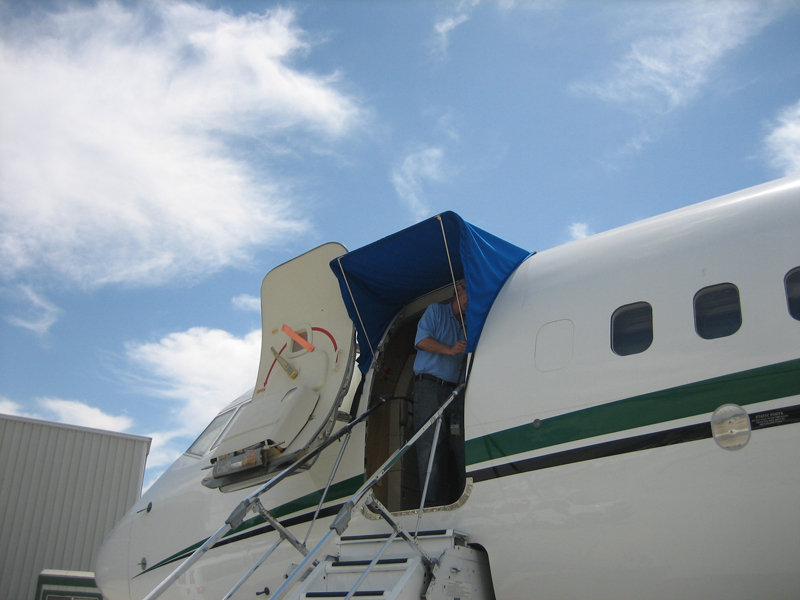 Sturdy, high-grade stainless steel frame with lexan clips, molded door /rain gutter faring, and high quality cover to offer full protection and a custom entrance for your private jet. 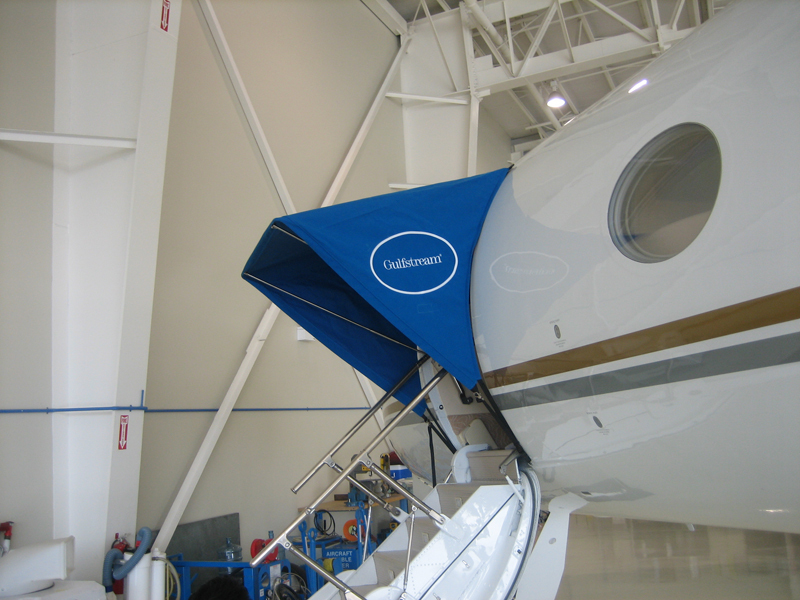 We also offer custom canopy colors and custom logos to be embroidered on the canopies.